Considering Getting a Wood Fence? In the old days, when building a house or simply protecting your property, a wood fence would be the only option when it comes to marking your property. This was the time when the techniques and technology when it came to fencing were much more primitive than it is today. 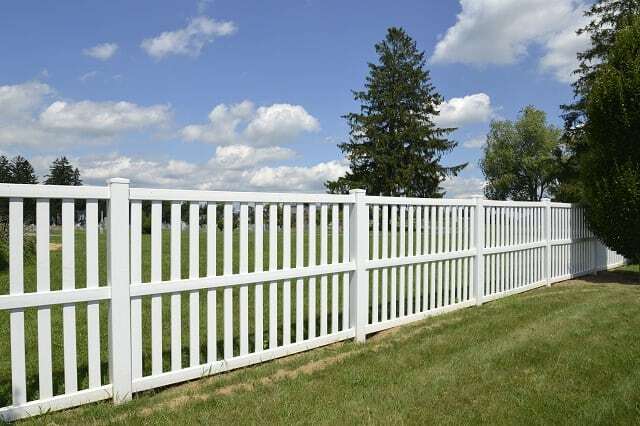 Now, there are all sorts of materials that have been utilized and developed to fence properties all across America. However, there are still those who want to recall a simpler time and prefer to have a traditional look. As a result, wood fencing is still quite popular is many homes all over the country. Whether you are a traditionalist or into something more modern, we at Garage Doors Deer Park TX are more than capable of making sure that you get what you need. There are quite a few things you need to consider before choosing wood, or any other material for that matter, to fence your property. As with any other material, wood fence panels come with their ups and downs. You need to come to terms with both before making a decision. The most obvious advantage that a wood fence has is its look. While this may be a preference, those that like wood panels often agree that the traditional appeal of a white picket fence is still the only way to go when going for the American dream. Aside from that, wood is still the cheapest material among all its competitors. If you have a tight project budget and a lot of space to cover, you may want to opt for wood. And while it may require constant maintenance, replacing the panels are inexpensive enough. There are a few down sides as well. Wood shrinks, so you will eventually have to deal with gaps in between your panels. There is also rot and termites you have to consider. Lastly, wood is not exactly difficult to destroy for someone who is intent on destroying it. There are quite a few options when it comes to a wood fence. There are quite a few techniques and patterns that have been used over the years to build a wood fence. 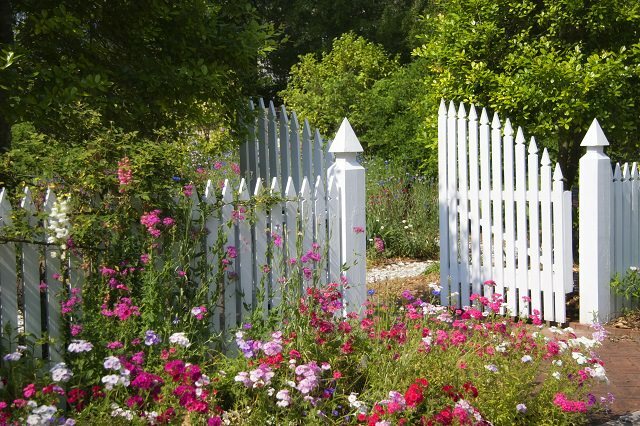 One of the common options is a picket fence, a classic option that prioritizes the visual appeal. As they are usually quite low, they offer minimal privacy, but enough security for children and pets. There is also the board on board fence, which is ideal if you want more security. While it offers some privacy, there are spaced between the vertical boards, so your neighbor can see your business if they really want to. If you want a virtually private fence, you can opt for vertical board fencing, as this does not leave space for neighbors to peep through, although space will eventually come when the wood shrinks. If you want more privacy and security, then you may want to opt for a stockade fence, as this is much taller, making it ideal for those who plan to have a pool area. Whichever one you choose, make sure to fit it to your construction plans and your budget. 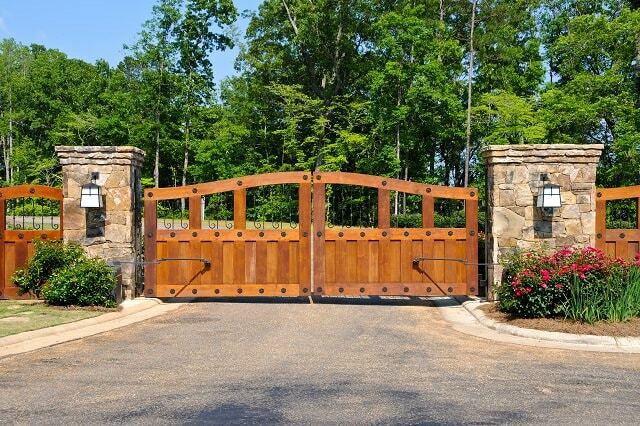 With all this talk of wood fence panels, may be wondering why you should be getting help with your wood fencing from a company that specializes in garage doors. Consider that your property line is a lot like a garage door in that it is the face of your property that provides you with a certain level of security. You should also consider that, between garage doors and fences, there are a lot of common tools and skills that are applicable to both. We at Shield Garage Door Repair have years of experience working with both garage doors and fences. We have the most skilled professionals providing these important services for our customers. When it comes to your property, you should be able to trust whoever will be working on it, and we have earned ourselves a reputation built on trust. We are also open 24/7 all year long, making us much more convenient than most services.